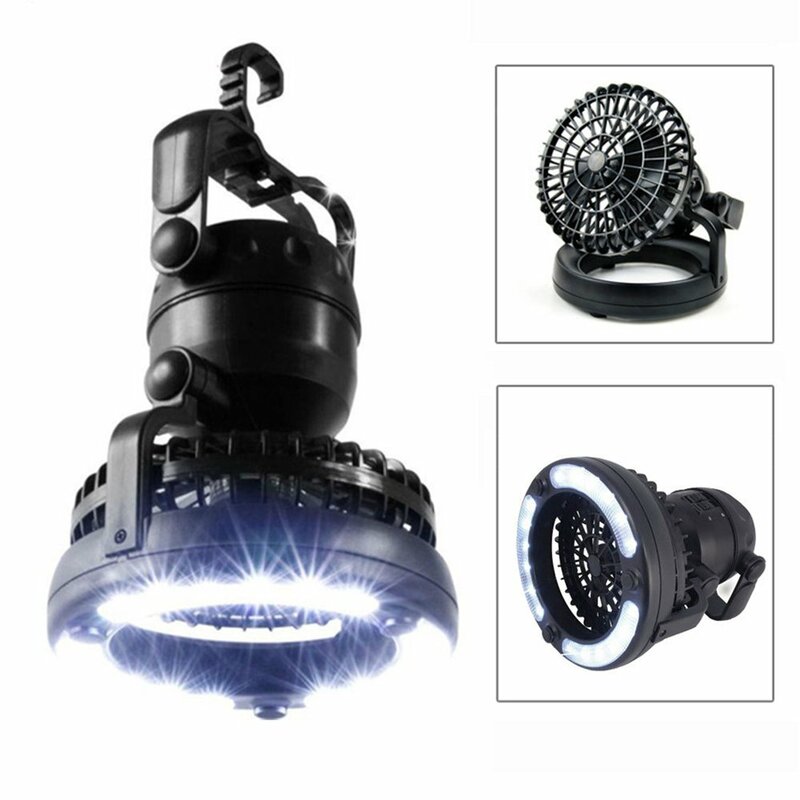 Home › Energy-Efficient LED Lighting › Generic 2-In-1 18 Led Camping Fan Light Combo Hiking Fishing Outages And Emer..
Generic 2-In-1 18 Led Camping Fan Light Combo Hiking Fishing Outages And Emer.. This portable LED Camping Lantern with Ceiling Fan will keep you cool and comfortable inside or outside of your tent and will illuminate the night. Simply hang the Camping Combo LED Lantern and Fan from your tent or shelter, or stand it on its base and take pleasure in hours of light and fan. UP to 37 hours of light from a set of batteries; Up to 50 hours (low speed) or up to 30 hours (high speed) of fan from a set of batteries.